In The House By The Lake, Anna is the proud owner of the Italian Cafe in Chestnut Street. 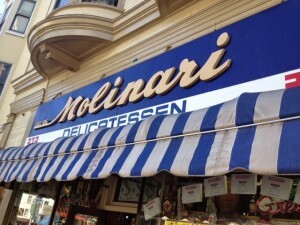 San Fransisco has quite a history associated with its Italian delis and Anna is a keen perpetrator of the city’s long standing traditions. Once, San Francisco was known as ‘delicatessan heaven,’ but now, there are only a handful of true classic delis left. Anna’s fictional Italian Café in Chestnut Street would most certainly rate as one of these- it is not part of a chain, and is run in the old line sort of way. 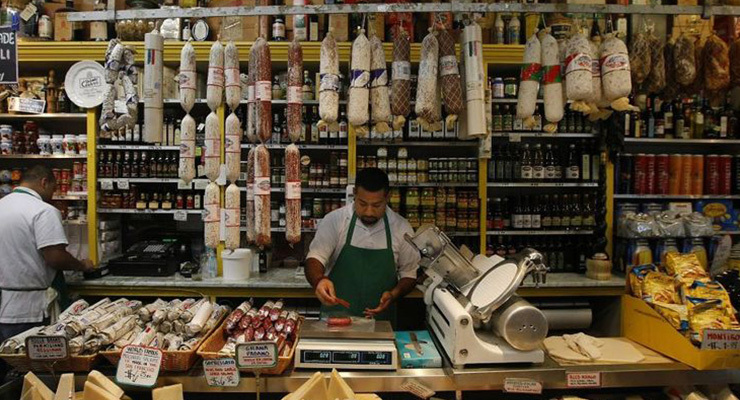 Classic Italian delis in San Francisco are always small and crowded- they have a big long counter over a case displaying cheeses, olives and sausages. The surrounding shelves are always stacked high with Italian wines and olive oil, and hanging over all of this are hundreds of salamis. Sandwiches are served, always made fresh and there is a hint of old Italy in the scent of the place. Lucca Ravioli Co. on Valencia Street makes its own pizza and ravioli as well as stocking all the usual Italian deli classics, all from Italy, of course- the owner rings up sales on an antique brass register and the deli is well over eighty years old. Another is Lucca in the Marina, at eighty-one years old, it is usually jammed with customers and stocks a big variety of prepared food, including soups and roasted chickens. So, if you are in San Francisco, and you want a little of Italy, inspired by Anna’s Italian Café, you can find these places and buy your homemade box of freshly made ravioli, some olives, some salami and a bottle of wine… and then you have a picnic!